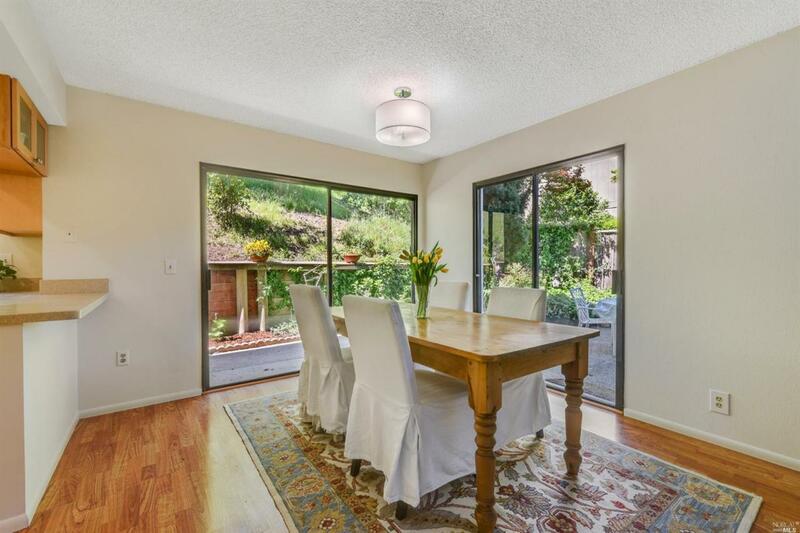 Spacious & bright 2 level townhome in desirable Sequoia Glen complex. Main level consists of living room, fireplace, dining area, updated kitchen & half bath with laundry area. Two sliding doors spill out to private back-yard. Upstairs is 3 bedrooms including master suite with soaring ceilings, walk-in closet & bath with large soaking tub. 2 Car garage completes this home. Community pool/hot tub and lovely grounds. Listing courtesy of Traci Thiercof of Compass.